A classic example of an anomaly in the LDS tradition is the so-called "Adam-God theory." During the latter half of the nineteenth century Brigham Young made some remarks about the relationship between Adam and God that the Latter-day Saints have never been able to understand. The reported statements conflict with LDS teachings before and after Brigham Young, as well as with statements of President Young himself during the same period of time. So how do Latter-day Saints deal with the phenomenon? We don't; we simply set it aside. It is an anomaly. On occasion my colleagues and I at Brigham Young University have tried to figure out what Brigham Young might have actually said and what it might have meant, but the attempts have always failed. The reported statements simply do not compute—we cannot make sense out of them. This is not a matter of believing it or disbelieving it; we simply don't know what "it" is. If Brigham Young were here we could ask him what he actually said and what he meant by it, but he is not here, and even expert students of his thought are left to wonder whether he was misquoted, whether he meant to say one thing and actually said another, whether he was somehow joking with or testing the Saints, or whether some vital element that would make sense out of the reports has been omitted. 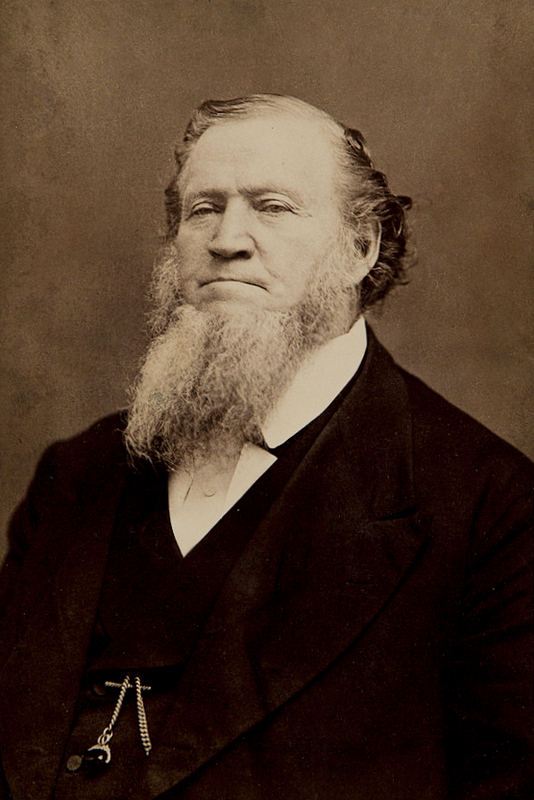 For the Latter-day Saints, however, the point is moot, since whatever Brigham Young said, true or false, was never presented to the Church for a sustaining vote. It was not then and is not now a doctrine of the Church, and—like the chemist who can neither explain nor reproduce her results—the Church has merely set the phenomenon aside as an anomaly. Nevertheless anti-Mormon critics have not only interpreted Brigham Young's remarks; they have also elevated their own interpretation, the "Adam-God theory," to the status of official LDS doctrine. Once again our theology is being dictated to us by our critics. According to them Brigham Young taught that Adam, the husband of Eve and father of Cain, is identical to that Elohim who is God, the Father of spirits and the Father of Jesus Christ. But for Latter-day Saints this interpretation has always been simply impossible. It contradicts the LDS scriptures; it contradicts the teachings of Joseph Smith; it contradicts other statements by Brigham Young made during the same period of time; it contradicts the teachings of all the prophets since Brigham Young; and it contradicts the sacred ordinances of the LDS temples, with which Brigham Young was intimately familiar. With such a strange and untenable notion floating around and having supposedly originated with a prophet, it is no wonder that letters of inquiry would reach various of the Brethren, as well as becoming a subject of curiosity and research for others in the Church. Some of the General Authorities and others who have privately commented on the Adam-God theory have noted that they have concerns about the accuracy of the supposed Adam-God quotations found in LDS literature, such as the Journal of Discourses and the Deseret News. See the previous blog #19 for a discussion confirming the validity of these concerns. Your question concerning Adam has not been answered before because of pressure of important business. We now respond briefly, but, we hope, plainly. You speak of "the assertion made by Brigham Young that Jesus was begotten of the Father in the flesh by our father Adam, and that Adam is the father of Jesus Christ and not the Holy Ghost," and you say that Elders are challenged by certain critics to prove this. If you will carefully examine the sermon to which you refer, in the Journal of Discourses, Vol. 1, you will discover that, while President Young denied that Jesus was "begotten of the Holy Ghost," he did not affirm, in so many words, that "Adam is the father of Jesus Christ in the flesh." He said, "Jesus, our elder brother, was begotten in the flesh by the same character that was in the garden of Eden and who is our Father in Heaven. Who is our "Father in Heaven"? Here is what President Young said about him; "Our Father in heaven begat all the spirits that ever were or ever will be upon this earth and they were born spirits in the eternal world. Then the Lord by his power and wisdom organized the mortal tabernacle of man." Was He in the Garden of Eden? Surely He gave commandments to Adam and Eve; He was their Father in Heaven; they worshiped Him and taught their children after the fall to worship and obey Him in the name of the Son who was to come. But President Young went on to show that our father Adam—that is, our earthly father—the progenitor of the race of man, stands at our head, being "Michael the Archangel, the Ancient of Days," and that he was not fashioned from earth like an adobe, but "begotten by his Father in Heaven." Adam is called in the Bible "the son of God" (Luke 3:38). It was our Father in Heaven who begat the spirit of him who was "the Firstborn" of all the spirits that come to this earth, and who was also his Father by the Virgin Mary, making him "the only begotten in the flesh." Read Luke 1:26-35. Where is Jesus called "the only begotten of the Holy Ghost?" He is always singled out as "the only begotten of the Father." (John 1:14; 3:16, 18, &c) The Holy Ghost came upon Mary, and her conception was under that influence, even of the spirit of life; our Father in Heaven was the Father of the Son of Mary, to whom the Savior prayed, as did our earthly father Adam. While, as Paul puts it, "there be gods many and Lords many (whether in heaven or in earth), unto us there is but one God the Father, of whom are all things, and one Lord Jesus Christ by whom are all things." The Church of Jesus Christ of Latter-day Saints worships Him, and Him alone, who is the Father of Jesus Christ, whom He worshiped, whom Adam worshiped, and who is God the Eternal Father of us all. At the time the First Presidency wrote this letter, it was not yet known that President Young had given more sermons identifying Adam as God than the one or two references in volume one of the Journal of Discourses (a twenty-six volume collection of early sermons) that critics and cultists first pounced on. Since then, and especially in the last few decades, perhaps an entire volume worth of Adam-God-related teachings by Brigham Young and others have surfaced (although all of them are now subject to question of accuracy). Therefore, the explanations given by Church leaders that responded to inquiries are necessarily narrowly focused on the quotations in the one 1852 sermon (probably poorly rendered) then known about (see JD 1:50). The letter’s main value is that it teaches true doctrine about the position of Adam in the over-all plan of salvation. Obviously if what was known today was known in Joseph F. Smith’s time, such explanations would have recognized and dealt with the existence other since-discovered possible Adam-God teachings. The so-called “Adam-God theory” has risen out of a discourse delivered by President Brigham Young recorded in the Journal of Discourses, volume 1, page 50. There have been many and various attempts to make it appear from these teachings that Brigham Young taught that Adam was our Father in Heaven and the only God with whom we have to do. Then there grew out of that blank denial a very interesting discussion that prolonged our visit another hour. In that hour, they brought forth some writings from one of our Church leaders of a very early day in which he was quoted as having said bluntly that Adam came and superintended the organization of the world and the bringing of the seeds to plant, that one of his wives was then brought to him from another planet, and that from this other planet there were to come spirits which he and his wife before had created and organized. My answer was, “I am not sure whether he was correctly quoted by the one who wrote it down, because in many cases they took their sermons down in longhand. We have found, for example, that in reading the King Follett discourse there is a footnote which suggests a mistake in the word ‘co-equal,’ which undoubtedly was ‘co-eval,’ conveying a wholly different thought and suggesting that the faulty way of reporting sermons might have accounted for that seeming error. Now, that same thing may well have been true in recording this sermon. I don’t know whether this is exactly what he said.” And then I pointed out that in that same sermon the speaker had contradicted himself, which evidenced the fact that he apparently had not read over the report of his sermon before it was published in the Deseret News. Your letter expressed your concern over the statement of the First Presidency in a letter to Elder Samuel O. Bennion; and again, a statement by Elder John A. Widstoe in his book “Evidences and Reconciliations” to the effect that Brigham Young never did teach that God, the Eternal Father is Adam. If you will read carefully these letters you will find that what they do say is that in the sermon contained in Vol. 1, page 50 of the Journal of Discourses Brigham Young did not intend to teach the doctrine that Adam was our God. Whether or not at other times he did or did not, was not the subject of these particular writings to which you have made reference. “There are many instances where Brigham Young speaks of Adam on the one hand, and God on the other; as, for instance, when he said ‘We believe that He made Adam after His own image and likeness, as Moses testifies… Our God possesses a body and parts and was heard by Adam and Eve walking in the garden in the cool of the day.’” Journal of Discourses, Vol. 10, page 231. Turner goes on to explain that the general authorities did little with the theory for decades, but recognized that it was out of harmony with the scriptures. He also noted that it was never accepted as a doctrine of the Church. On the contrary, it was officially labelled as false doctrine by President Spencer W. Kimball. Turner’s conclusion: “No honest person will suggest that it is an official doctrine (a dogma) of the Church. It should be viewed, like other concepts advanced from time to time, as personal opinion or speculation” (“Adam-God Controversy,” Dr. Rodney Turner, unpublished circular/memo, 1-2). Elder Lee’s brief reference is one of the first we have from a reputable authority recognizing that Brigham Young contradicted himself with these teachings, if the report is correct. One arresting statement made by President Young (that Professor Turner did not have but that has since come to light) was given after he made some confusing comments about Adam as God. President Young said: “I care little about those theories” (VanWaggoner, Complete Discourses, 2485). Seems like good counsel for all. I personally see and hear less about the Adam-God theory now than I did twenty to thirty years ago, if that means anything. It may be that it is being overshadowed or crowded to the side of the anti-Mormon stage by the much more popular issues of gay marriage and feminist extremism being promoted and used to bash the Church today. It is likely that these issues are seen by the devil as more palatable and useful to lead people astray than sniping about the meaning of old sermons. However, neither the devil nor his spokespeople miss a trick when it comes to trying to weaken confidence in modern prophets and revelation.